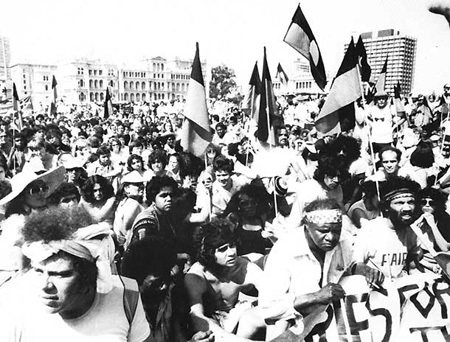 In September 1982 when Indigenous activists threatened to disrupt the Brisbane Commonwealth Games, the then Premier of QLD, Lutheran fanatic Joh Bjelke-Peterson declared a State of Emergency and proclaimed street marches illegal. The demonstrations went ahead anyway and the QLD Police lived up to Bjelke-Peterson's threats of mass arrests. At the end of the day hundreds of indigenous activists and their supporters were arrested, but they achieved their goal of international headlines focussing on the racist policies of both QLD and Federal governments, and charges against most arrested were quietly dropped over the next year or so.